Chili is the best on a cold day. I especially love it in the slow cooker when its had hours for the flavors to come together. 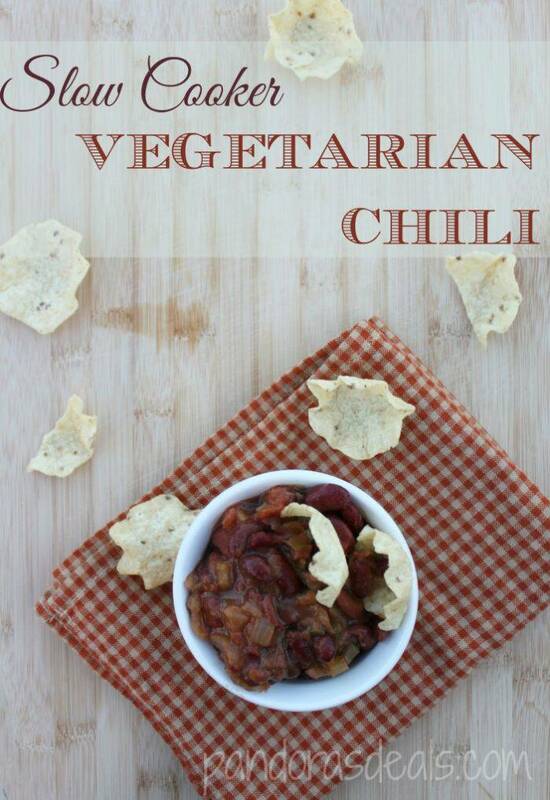 We made this delicious Slow Cooker Vegetarian Chili recently and it was soooo good! You might wonder if it’s going to be hearty enough with no meat in it. Definitely, it is. We loaded it up with kidney beans and good-for-you veggies. You’ll never miss the meat! Combine all ingredients except spices in a slow cooker. Then add spices and stir to distribute evenly. Cook on low for 8 - 10 hours. Great served with some crusty bread or tortilla chips.